L-R: Winners Sam Rockwell, Frances McDormand, Allison Janney and Gary Oldman. Photo by Mike Blake/Reuters. The 90th annual Academy Awards took place Sunday evening at the Dolby Theater in Los Angeles. 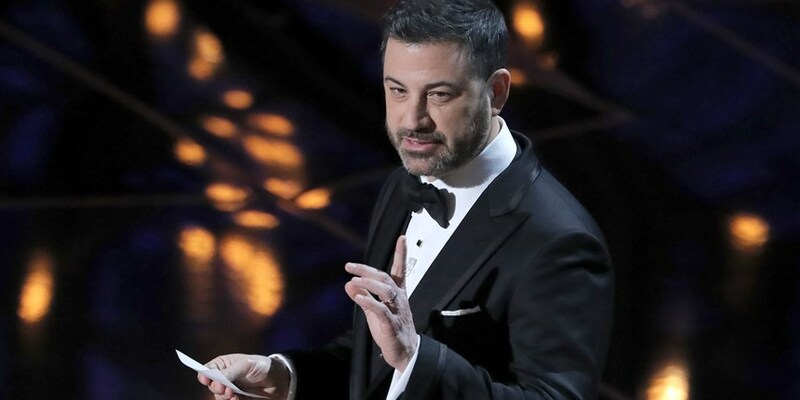 Hollywood’s biggest and brightest night, the ceremony saw a number of surprising wins, as well as shoo-ins that dominated the past few months of awards season. Read on for highlights and a list of winners from the night! Jimmy Kimmel onstage. Photo by Lucas Lucas Jackson/Reuters. L-R: Ashley Judd, Annabella Sciorra and Salma Hayek on stage at the Oscars. Photo by REUTERS/Lucas Jackson. Women who bravely came forward with stories of Harvey Weinstein‘s abuse continued to speak up. Ashley Judd, Annabella Sciorra and Salma Hayek addressed misconduct as well as the lack of minority representation in Hollywood in an onstage presentation. 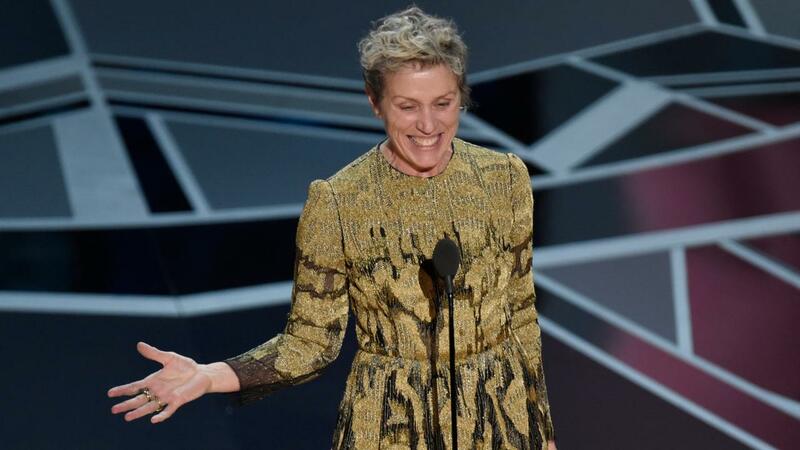 In her acceptance speech for Best Actress in a Leading Role, Frances McDormand also called for increased representation, especially of women, in film: “If I may be so honored to have all the female nominees in every category stand with me in this room tonight,” she encouraged. “Look around, ladies and gentlemen, because we all have stories to tell and projects we need financed. Don’t talk to us about it at the parties tonight. Invite us into your office in a couple days, or you can come to ours, whichever suits you best, and we’ll tell you all about them.” McDormand ended her speech by citing inclusion riders, a clause actors can add to their contracts to ensure gender and racial equality in hiring on movie sets. 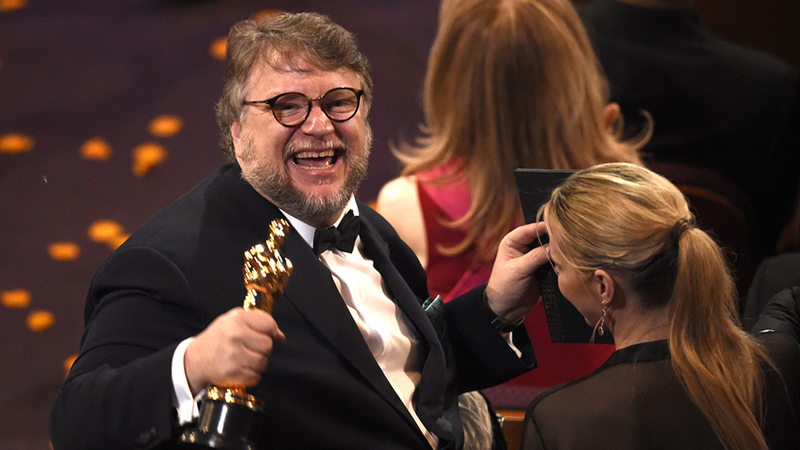 Guillermo del Toro celebrating his win for Best Director. Photo by Chris Pizzello/Invision/AP/REX/Shutterstock. Despite the winning streak of Best Picture nominee “Three Billboards Outside Ebbing, Missouri,” Guillermo del Toro’s “The Shape of Water” took home the prize, a surprising decision considering the socially relevant issues that “Get Out,” “Three Billboards” and “Call Me by Your Name” explored. In addition to Best Picture, Del Toro snagged Best Director for the film. Its production design and musical score also won. Greta Gerwig in Rodarte. Photo by Getty Images. 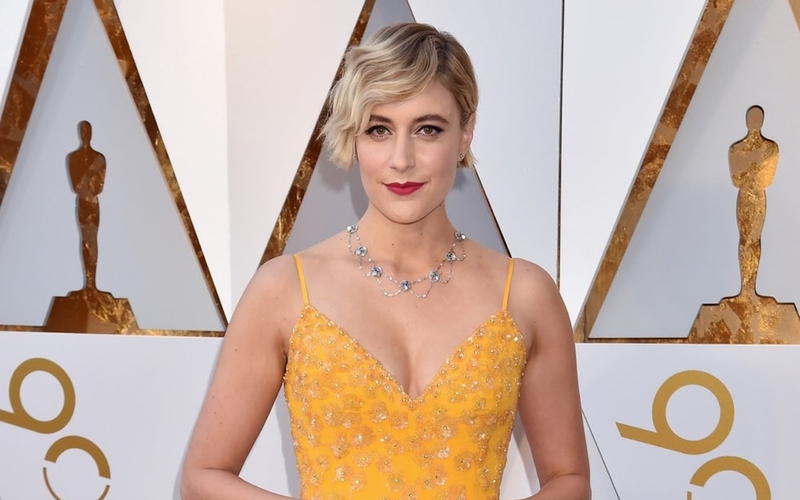 Though Greta Gerwig’s directorial debut “Lady Bird” was nominated for five Oscars and beat out classic “Toy Story 2” as the best-reveiwed film on Rotten Tomatoes, the film went home empty-handed last night. It’s worth noting that Greta Gerwig was the first woman to be nominated for Best Director in eight years, something Kimmel cited in his opening monologue—along with the fact that only 11% of movies are directed by women. 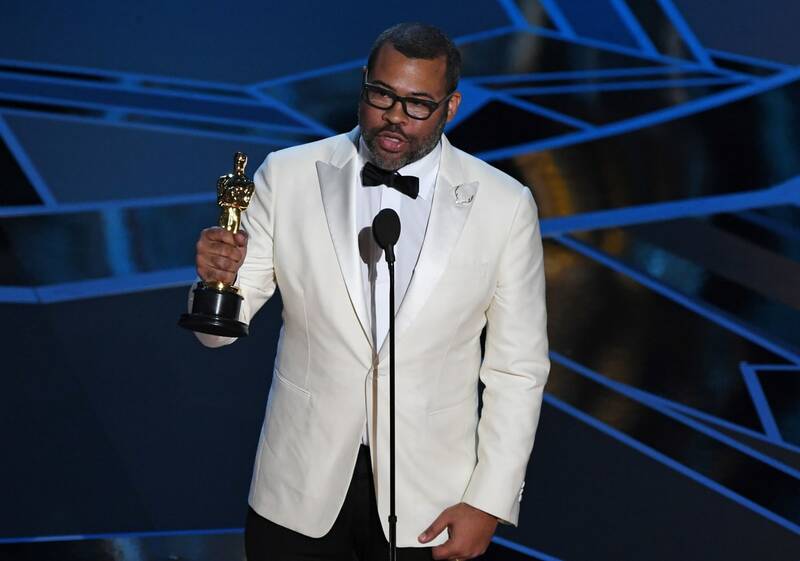 Jordan Peele made history by becoming the first black director to win an Oscar for Best Original Screenplay. His writing and directorial debut “Get Out” beat nominees including “The Shape of Water,” “Three Billboards Outside Ebbing, Missouri” and “The Big Sick.” Peele is the fourth black filmmaker in history to be nominated for the Best Original Screenplay category (the other three are Suzanne de Passe for “Lady Sings The Blues,” Spike Lee for “Do The Right Thing,” and John Singleton for “Boyz N the Hood.”) “I stopped writing this movie about 20 times because I thought it was impossible…I kept coming back to it because I knew if someone let me make this movie, that people would hear it and people would see it,” Peele said during his acceptance speech. Color returned to the red carpet, though countless stars sported Time’s Up pins. Salma Hayek wore custom Gucci with an opulent jeweled collar, Supporting Actress winner Allison Janney went bold in a bright red Reem Acra gown with flowing sleeves and “Wonder Woman” Gal Gadot glittered in a sequined Givenchy dress.